Bollywood villain Surendra Paul, who had acted in films like Jodha Akbar and Cheher, is playing Ajith’s father in Asal. However, this is not the first Tamil film for Surendra Paul. He has one Tamil film to his credit already – Mr. Romeo. 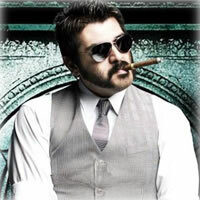 The actor is in fact one of the villains in Asal, apart from Suresh and Sampath Raj. Speaking about his experience in working with Ajith, the actor says that he is an actor sans any arrogance. He also praised Saran for his excellent directorial skills. Surendra Paul says that he expects more Tamil film offers after the release of Asal. Dhawan to direct Salman again?